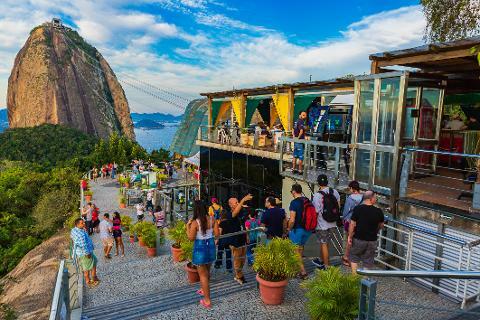 Spend an afternoon visiting Rio's most incredible sights on a tour that shows off the great views and grand attractions around Guanabara Bay. 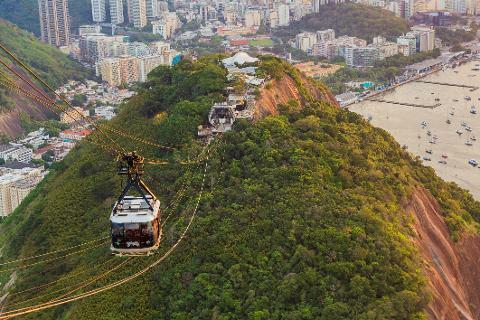 Your guide brings you to all prime landmarks - Christ The Redeemer, Metropolitan Cathedral, Selarón Steps, and Sugarloaf Mountain - along with vantage points on the mountains that stand over the city's most famous scenery. 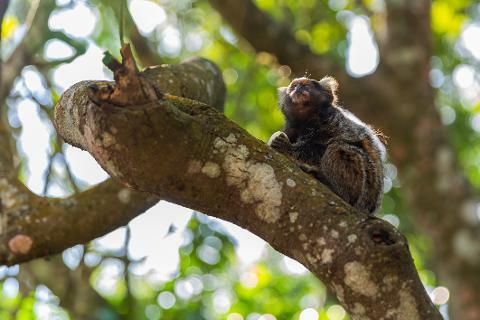 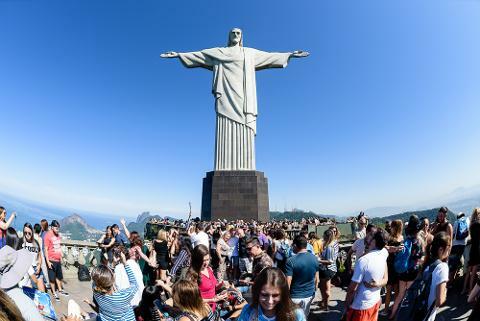 The tour begins with a ride from your hotel to Corcovado, the 2,329-foot-tall (710-m) mountain famous for the colossal statue of Christ the Redeemer - one of the New Seven Wonders of the World - at its summit. 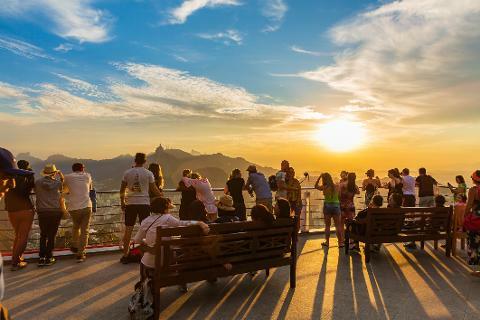 After the drive through the Tijuca Forest that covers most of the mountain, admire the wonderful landscape around you from a viewpoint at the statue's feet. 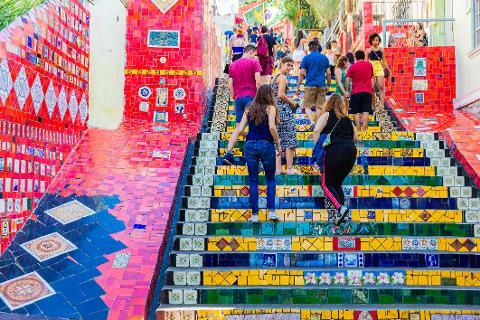 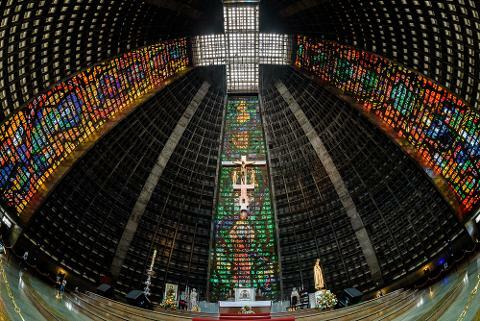 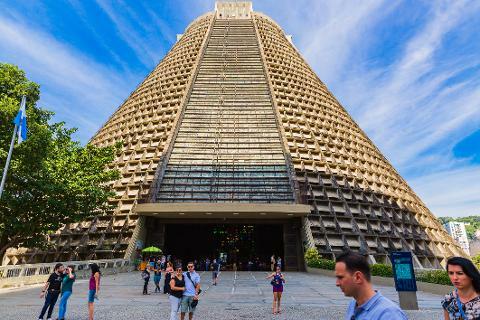 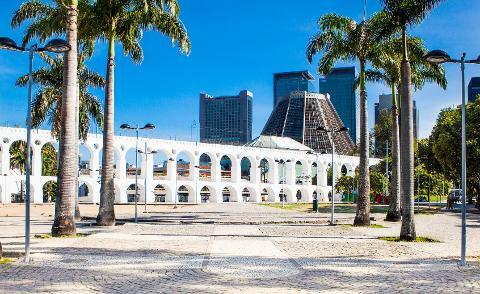 Next, your guide takes you to the iconic Metropolitan Cathedral of Rio de Janeiro and the Selarón Steps, whose vivid colors take on a warm glow in the evening sun. 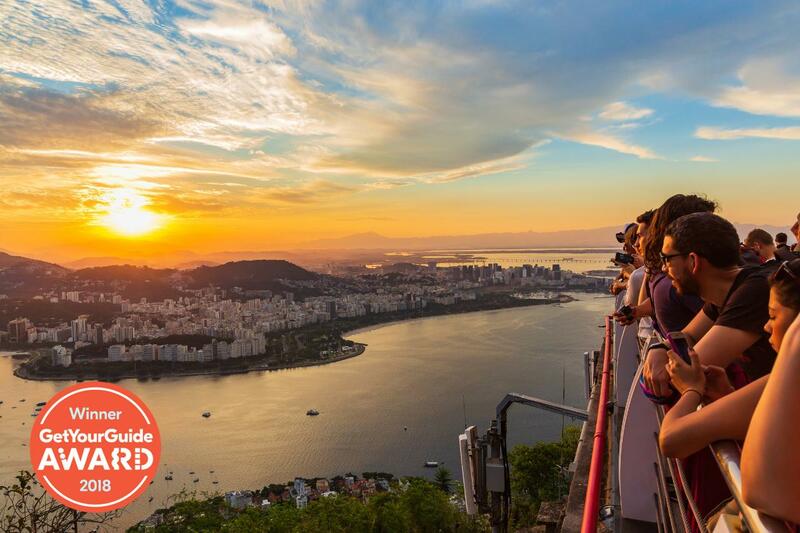 Finish with a cable car ride to the top of Sugarloaf Mountain, where you get one of the city's most beautiful panoramic views and a chance to admire the sunset before you head back to your hotel.